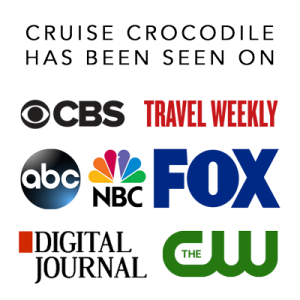 Our Puerto Quetzal cruise port guide gives you information about the docking location, cruise dock, transportation options and much more! Welcome to the Puerto Quetzal cruise port guide. 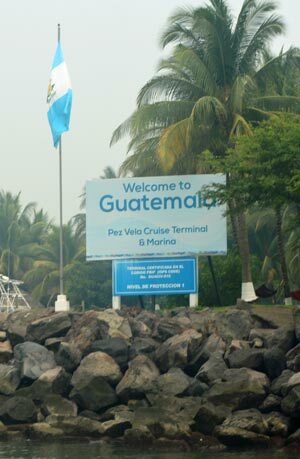 This is a wonderful port of call and the gateway to Guatemala! Puerto Quetzal was named after Quetzales; Guatemala’s national bird. Although the port area doesn’t offer anything within walkin distance, this is your opportunity to venture out to explore the untouched country of Guatamala. Most people visit the beautiful capital city of Antigua. Others will choose to explore the old Mayan temples of Yaxha or Iximche or perhaps one of the many coffee plantations. 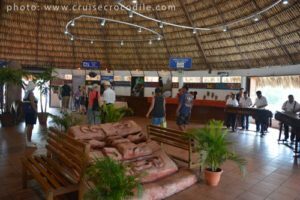 There are plenty of things see and do here from the cruise port of Puerto Quetzal as long as you decide to venture out and not stay at the cruise terminal itself. 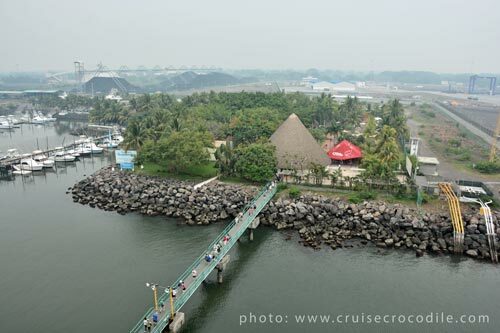 When you cruise ship is docked you will have this view over the Puerto Quetzal cruise terminal. On the cruise dock you will see this Pez Vela Cruise Terminal welcoming sign. 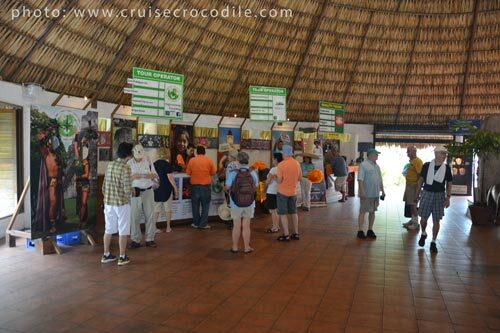 At the cruise dock you will find a welcoming center with tourist information and local band. There is also a tour desk available in the welcoming center. 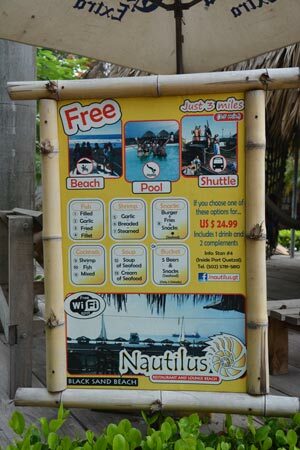 If you feel like having a beach day: a beach shuttle is offered in port. Your cruise ship will dock at Puerto Quetzal. Puerto Quetzal is a large industrial port. One large section of the port is closed off for cruise ships. The cruise ships dock at Puerto Quetzal cruise terminal where you will find a lovely large area with all kind of facilities. From the cruise dock you walk straight into the welcoming centre/cruise terminal. Here you will find a tourist information desk, tour desks, a small post office and a local band. When you exit the welcoming centre you will see navigation markers showing you where to find taxi’s, shore excursions, wi-fi, coconuts and beers. US dollars are accepted anywhere in the cruise terminal. The cruise terminal offers a small market where you can buy your local souvenirs. Find them as soon as you step out of the welcoming centre. You will be able to buy all your local t-shirts, arts and jewellery. There are a couple of restaurants and bars where you can get free wi-fi as long as you buy a refreshment. There are taxis waiting for you when you exit the port. Note that some of the cars might not be in great technical condition. Negotiate with a taxi driver or tour guide before you step into the taxi. There are no fixed prices and depending on your negotiation skills and group size you might pay between 30 and 60 US dollars per person for a trip to Antigua. Visiting the colonial capital Antigua is the most popular thing to do from Puerto Quetzal. Antigua lies in higher altitude, 1600 meters above sea level. Keep in mind it will be cooler up there. From the cruise terminal in Puerto Quetzal the ride to Antigua is 50 miles or about 90 minutes. 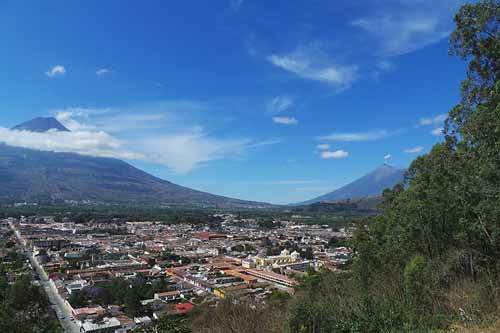 The ride is very scenic and will take you past the famous coffee plantations and volcanoes of Guatemala. We do recommend to go with an organised tour because the last thing you would want is to get stranded in the middle of nowhere with a non-functioning taxi. Other than that you can also visit the old Mayan site of Yaxha and Iximche. If you are over 11 hours in port you could also visit the Tikal National Park which is home to the Mayan Pyramid of the Great Jaguar, Central Plaza and two large Acropolises. Puerto Quetzal is the gateway to Guatamala for cruise passengers. Cruise ship dock at the great cruise facility in Puerto Quetzal. 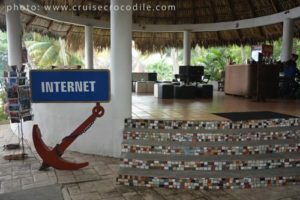 They have build a great welcome center here with all kind of facilities like tourist information, tour desks, souvenir shops, a small museum, restaurants, wi-fi spot and much more. Read the full Puerto Quetzal cruise port guide for all the information on this cruise destination.